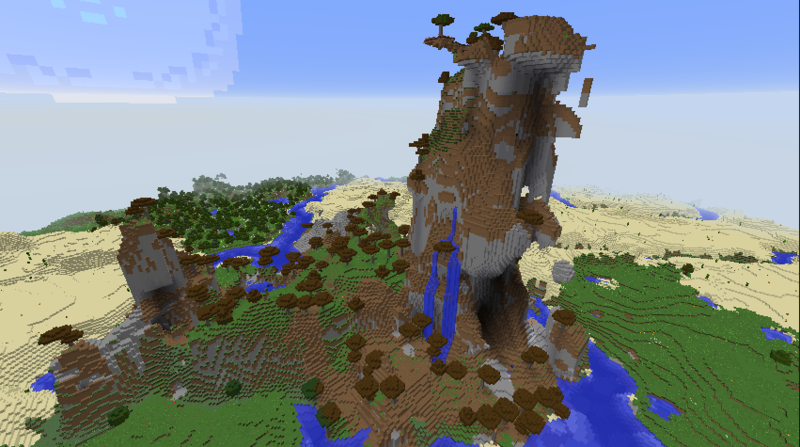 No two worlds in Minecraft are the same. Whenever you load up a new world, also known as a seed, it generates differently, leaving you with infinite possibilities. You could spawn in a world filled with oceans and not much land, or find yourself near an area filled with Zombie Villages—anything is possible. Each different player will have their own goals when playing Minecraft. Some seek adventure, a quest to slay the Elder Dragon, or to fight against the various boss monsters that Minecraft has to offer. Others seek a challenge or a world that will allow them to create their ideal homes, mythical villages, or pop culture references. With that in mind, we've scoured the internet to help you find a ton of different seeds in Minecraft to give you limitless possibilities in the best world that suits your needs. Seeds are lines of code that Minecraft uses to generate worlds. There are billions of potential combinations filled with interesting landscapes and resources to discover. How do I create a world using a seed? Creating a world with a particular seed is simple. 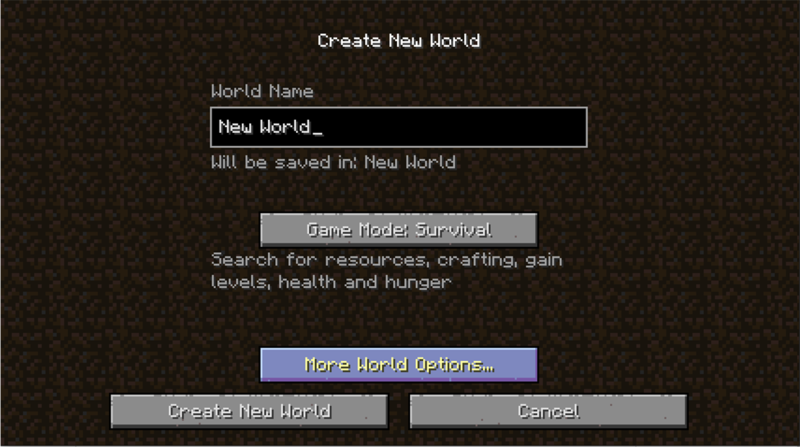 When creating a new world, you'll have the menu option to open up More World Options. Click this button after deciding what to name your new world, and you'll be given a bunch of additional options to choose from. At the top of this list is an empty space called "Seed for the world generator." Copy and paste, or manually type the seed you want into the blank spot and then click done at the bottom of the screen. 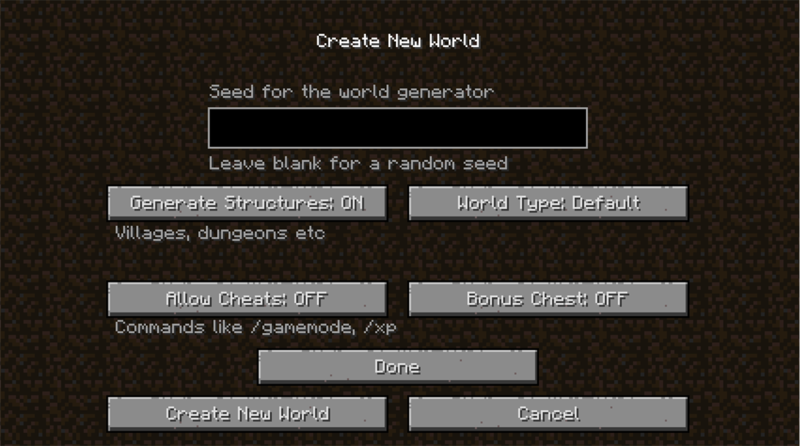 This will create a world based off the seed you put into the box, instead of a randomly-generated world. This seed was originally found by the YouTuber UnspeakableGaming, offering players a unique twist on the Island Survival formula. 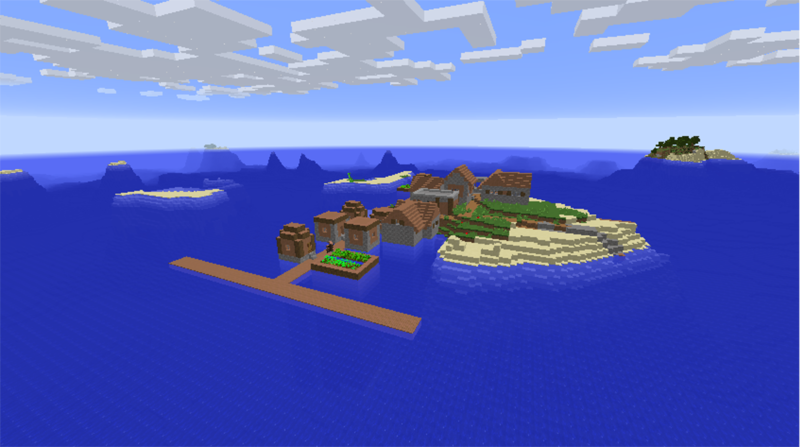 Players spawn onto an island with a Mob Village including all of their basic needs. There are also other islands scattered around, but trees are hard to find, leaving you with a severe wood shortage to build everything you need. Sky Islands are a unique dynamic for Minecraft builders. You're given an abundance of islands to make forts and play around with, testing the limitless possibilities of your imagination. Will you link the islands to create a giant kingdom, or will you create something mystical in the center to act as a conduit? Let's see what you're capable of. This seed has everything you need—mountains, trees, resources, and the weirdest glitch Mob village in history. You can find the village itself near spawn at X: -232, Z: 264. 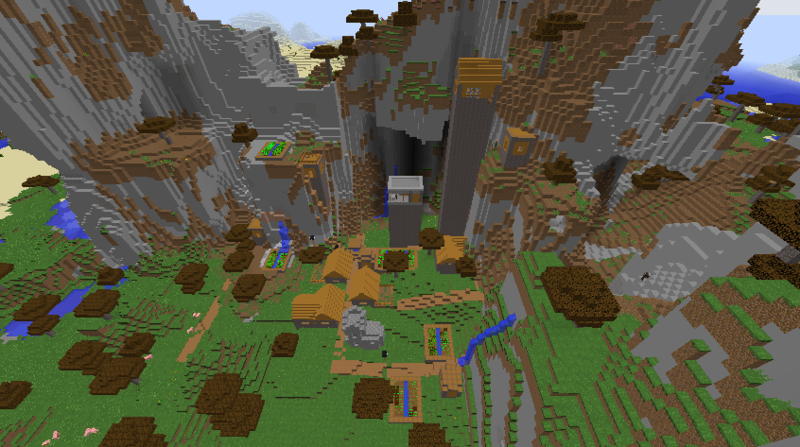 The village is split by the naturally spawning rocks with one of the tallest Minecraft Village houses stretching up to the skies. The house's height is random, however, as some players will see much smaller houses, while others go above the clouds. 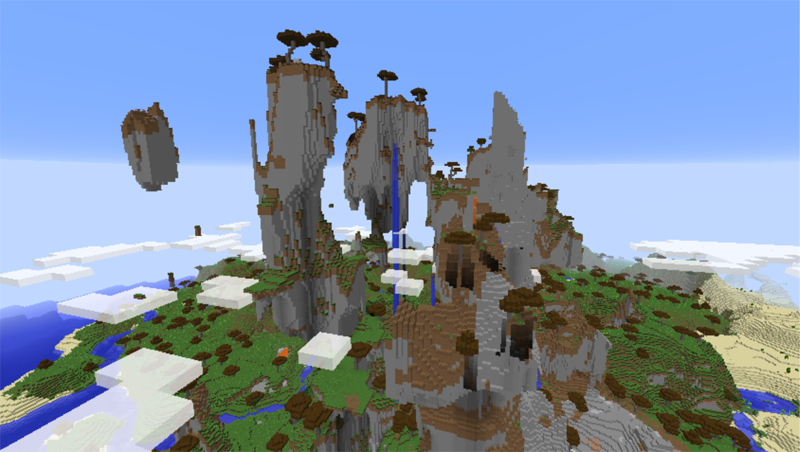 With this seed, players will spawn right next to a formation of rocks that could potentially house one of the most villainous castles in Minecraft. See what you can create atop the peak, form a village with high walls around it, and let your creativity do the rest. There are also plenty of resources and biomes nearby to give you everything you might need. 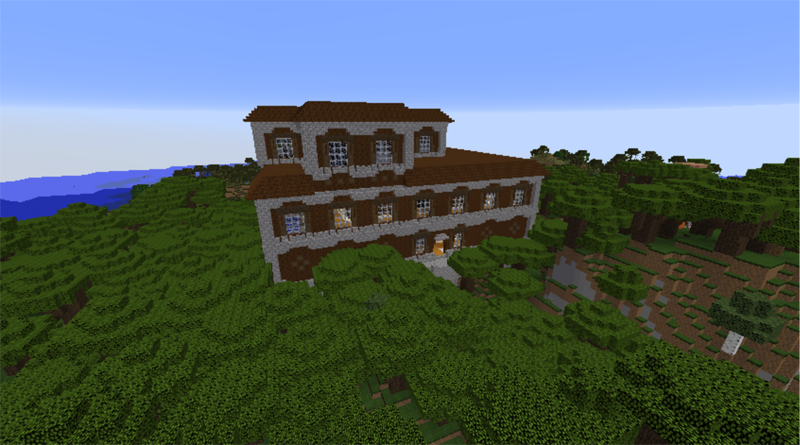 Mansions are some of the hardest structures to find in Minecraft and could take hours of exploring to locate in vast forests. So why not skip all of that exploring by spawning right in front of one? As found by MinecraftSeedHQ, players can spawn near a mansion. Just don't go into it right away, because Mansions are some of the hardest places to survive in. Set up nearby, grab some gear and items, and take on the Mansion when you're ready.